At Main Street Dental, it is our mission to provide the highest quality dental care to our patients using the most advanced techniques available. We want our office to be a caring, welcoming, and understanding environment for patients of all ages and backgrounds. We strive to find the best, most appropriate, and most individualized treatment for each patient to create healthy and lasting smiles. Dr. Hughes was born in Greenville, South Carolina. He grew up on the family farm outside of Fountain Inn. He graduated from Hillcrest High School before receiving his Associate of Arts degree from Anderson College and his Bachelor of Science in Zoology from Clemson University. Dr. Hughes then went on to the Medical University of South Carolina College of Dental Medicine. Upon graduating, he joined the practice of Dr. H.T. Leeke in 1982. He bought Dr. Leeke’s practice two years later in 1984. Soon his practice outgrew the small, original building off of North Main Street. He built the current office in 1989. Dr. Hughes is an active member of Simpsonville United Methodist Church and the Simpsonville Rotary Club. He has served on the Simpsonville Chamber of Commerce board. He enjoys raising cattle on the farm that has been in the family for over 150 years. His other hobbies include vegetable gardening, woodworking, and walking. Dr. Hughes is an active member of the Greenville County Dental Society, South Carolina Dental Association, American Dental Association, and Upstate Study Club, a division of the Seattle Study Club. He also volunteers his time at the Greenville Free Dental Clinic. 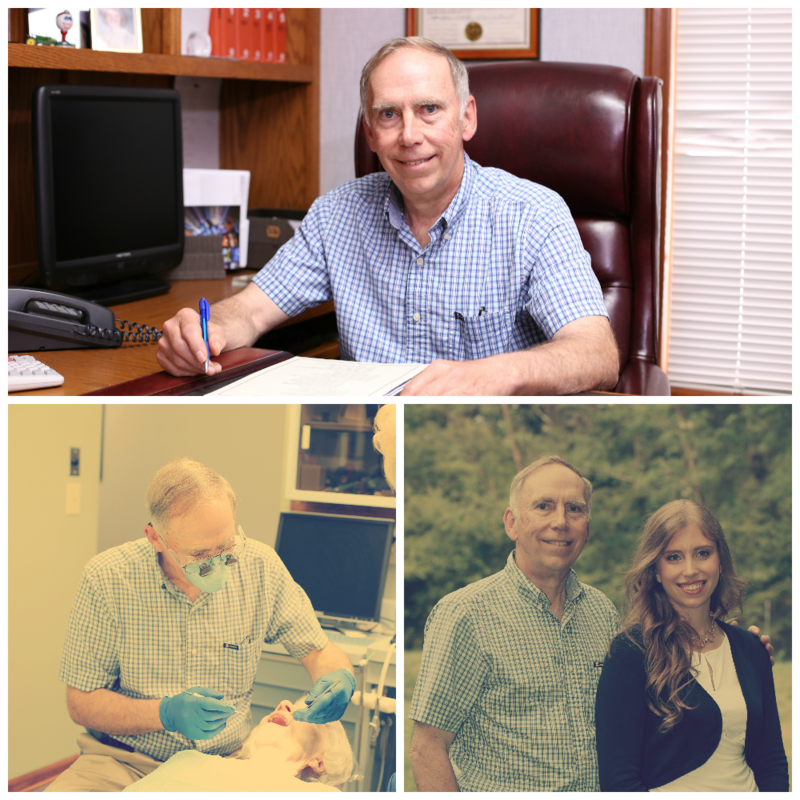 Dr. Hughes was drawn to dentistry because he enjoys working with people and with his hands. Ever since he was young, he knew he wanted to find a profession where he could help others. Dentistry was the perfect choice for him. Dr. Hughes is married and has one daughter, Dr. Holmes. He lives on his farm outside of town. Dr. Holmes graduated from Clemson University in 2010 with a Bachelor of Science degree in Psychology and a minor in Biological Sciences. She went on to the Medical University of South Carolina College of Dental Medicine. She graduated with her Doctor of Dental Medicine degree in 2014 and has worked at Main Street Dental since then. Dr. Holmes is an active member of the Greenville County Dental Society, South Carolina Dental Association, American Dental Association, and Upstate Study Club, a division of the Seattle Study Club. She enjoys attending educational meetings and keeping up with the most current techniques in dentistry through these professional organizations and the yearly South Carolina Dental Convention. Dr. Holmes, daughter of Dr. Hughes, grew up here in Simpsonville, and this community is very special to her. She enjoys helping people and volunteering her time around the Golden Strip. She is a member of Simpsonville United Methodist Church, and the Simpsonville Rotary Club. She sits on the board at the Center for Community Services, volunteers at the Greenville Free Medical Clinic, and has been credentialed to work and oversee dental students on the Bon Secours St. Francis Mobile Dental Unit. Dr. Holmes became interested in dentistry when she was introduced to how artistic it is. She has been involved in art since she was little, and loves working with her hands. In addition, she has always wanted to help others to feel better and more confident. She believes she has found the perfect combination in Dentistry. 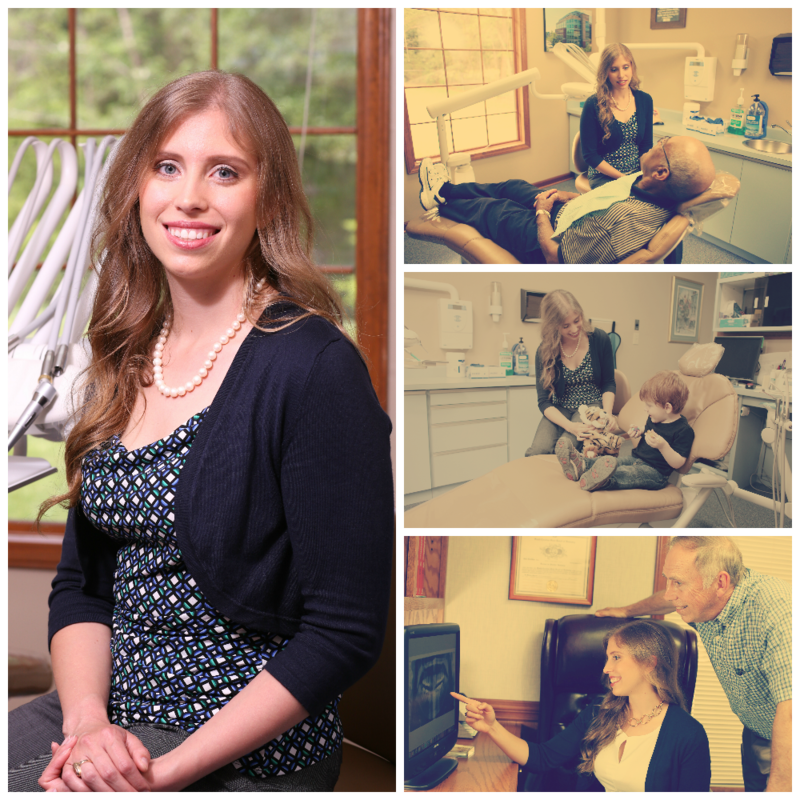 She loves to help people achieve their healthiest and best smile in the most comfortable way possible. Outside of work and volunteering, Dr. Holmes enjoys painting, outdoor activities, watching Clemson football, and spending time with friends and family. She lives on the old family farm with her husband, Jonathan, and their dog, Star. Dr. Holmes looks forward to getting to know you, or getting to know you better, as a patient and a friend. Setora has worked in the dental field for 38 years, and she has spent the last 25 years at this practice. She loves being able to help others, and at the same time, getting to know patients individually. She is always happy to hear about their lives and families. Outside of work, Setora loves to cook for others, garden, and sing with the church choir and the Fountain Inn Chorale. She also enjoys spending time with her family. Setora has been married to her husband for 36 years. They grew up together; their parents and grandparents were good friends. They have a nephew and a niece of whom they are very proud. 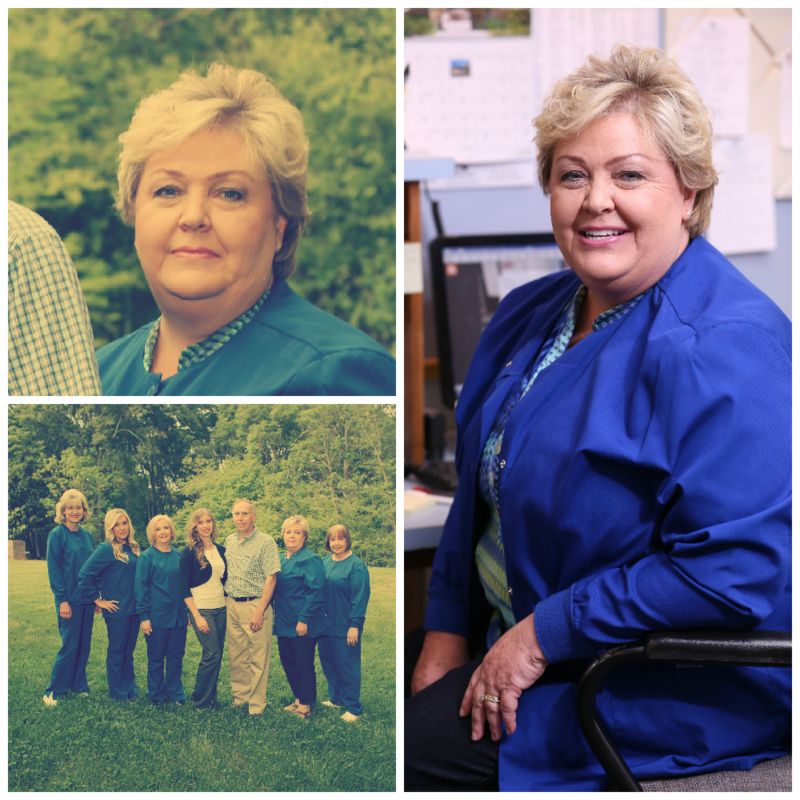 Linda has worked in dental hygiene for 41 years, and she has worked in this office for the last 21 years. She enjoys getting to know her patients through her work. Outside of work, Linda enjoys traveling, reading, cooking, baking, crafting, and spending time with her granddaughter. Linda has been married to her husband Dean for 35 years. Together they have a daughter Megan and a granddaughter Aubrey who live in Simpsonville. She also has a stepson, three grandchildren, and a great granddaughter who live in New Jersey. 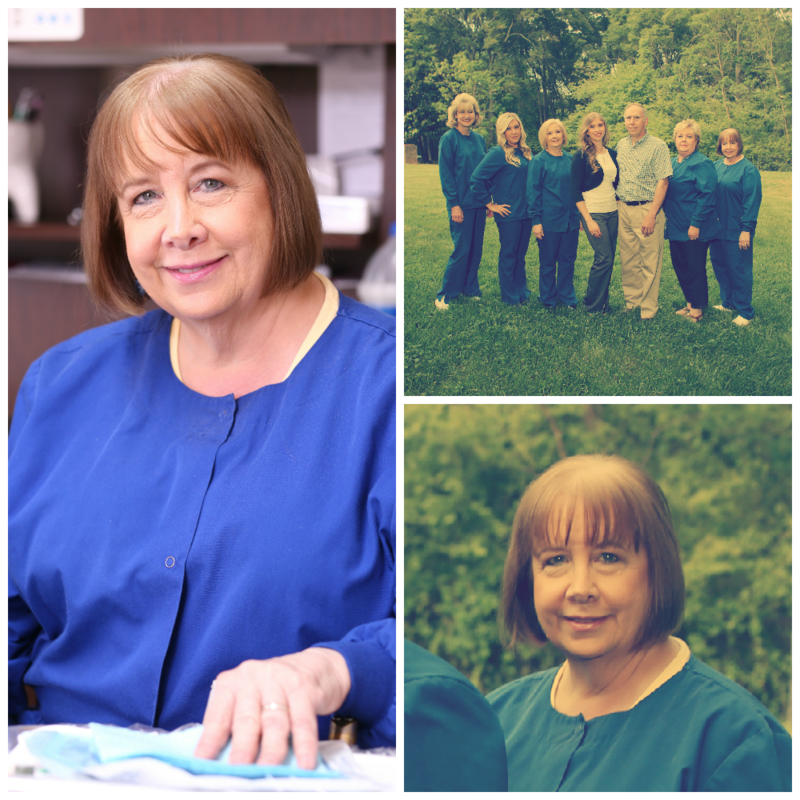 Gail has worked for 36 years in the dental field and has been at Main Street Dental for 17 years. She became interested in working in dentistry at a young age. She always enjoyed going to the dentist and the dental atmosphere. 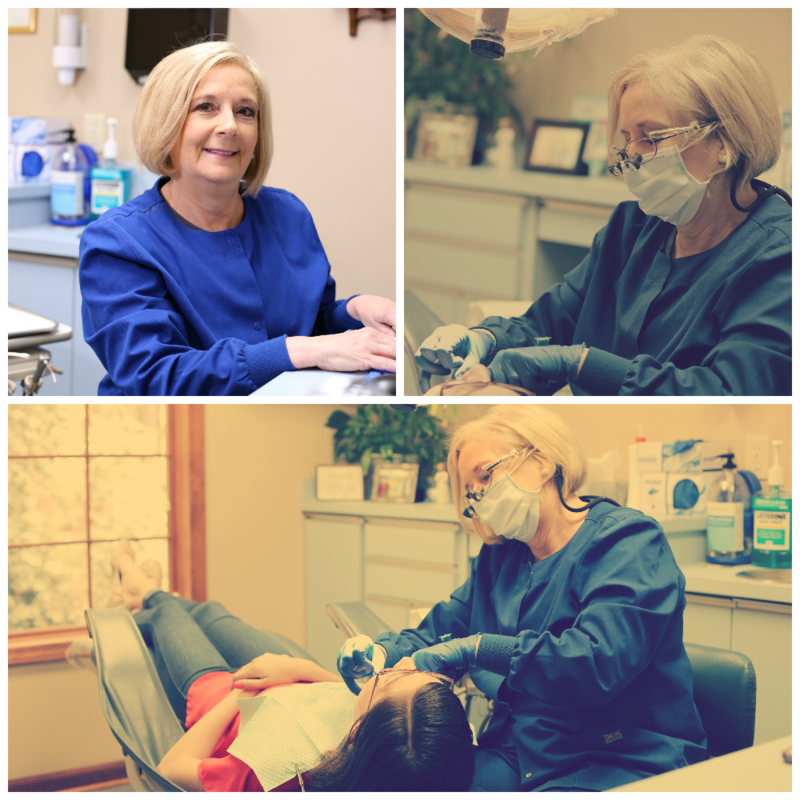 Gail enjoys making people feel good with a clean mouth, and the relationships she makes with her patients. Outside of the office, Gail enjoys spending time with her family, having dinner with friends and relatives, entertaining dinner guests, serving in her church, and exercising. She has a husband, Fred, a daughter, Lesli and her husband Blake, a daughter Taylor, and a son Will. 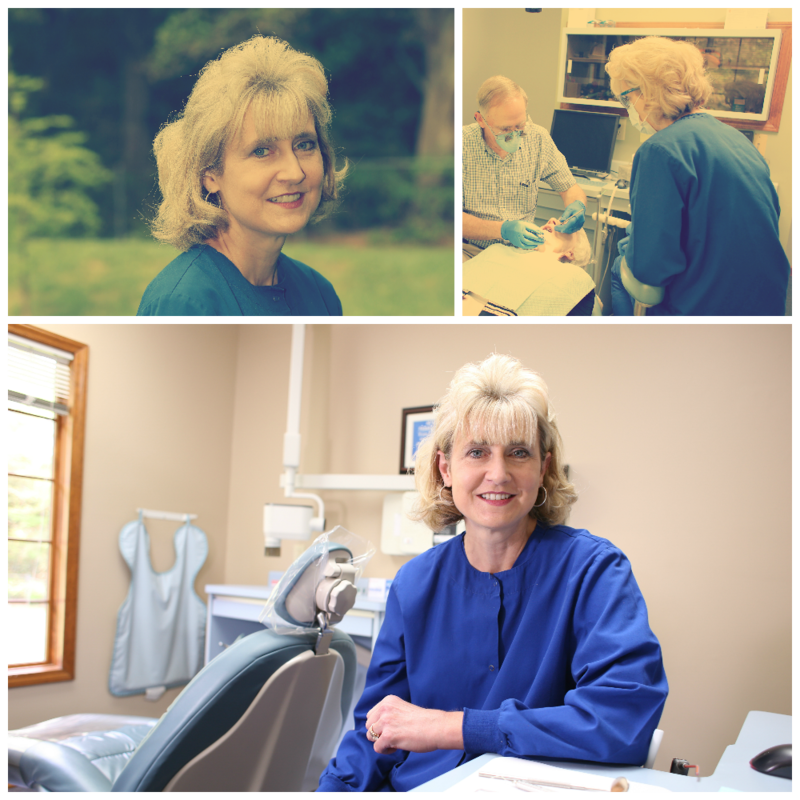 Kristy has worked in the dental field for 23 years, and has been with us for the last 8 years. Kristy loves getting to know our patients and learning more about their lives. She became interested in dentistry when her pediatric dentist encouraged her to be a dental assistant. She followed his advice and worked in his office before she became a member of our team! She enjoys attending church, spending time with her family, and working in her yard. Kristy and her husband, Scott, have a teenage daughter, Lindsey. They spend a lot of time watching Lindsey swim on two swim teams and play soccer. Jessica graduated from dental assisting at Tri-County Technical College in August 2013, and has worked as a dental assistant since then. 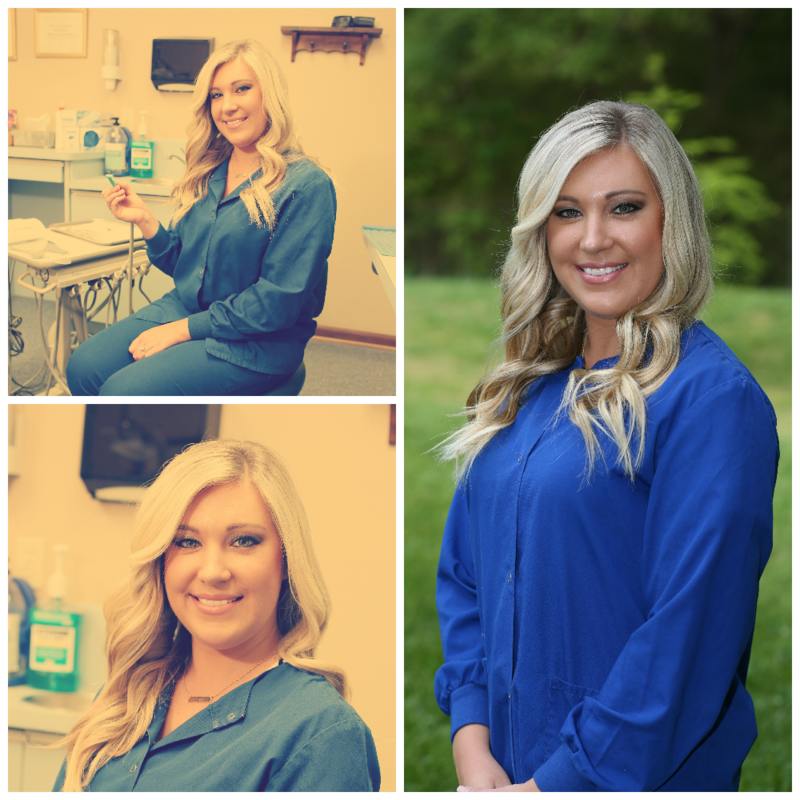 Jessica joined our team at Main Street Dental two years ago. Her favorite part of her job is meeting and getting to know all of our patients and helping them love their smile. She has always wanted to help others and make them smile, and she likes working hands-on. This is what brought her to the dental field. Outside of work, she enjoys shopping and spending time with her husband, her family, and her friends. Jessica and her husband, Matt, live in Easley with their dog, Lilly.